Columbia Police Chief Skip Holbrook announces that a man wanted in connection with an armed robbery and assault case from last month has been arrested. Meanwhile, Investigators continue to determine the identity of a second suspect connected to the case. Jonathan Xavier Craft (DOB: 11-01-1981) is charged with Armed Robbery, Possession of a Weapon during the Commission of a Violent Crime, First Degree Burglary, Kidnapping, and Auto Breaking. 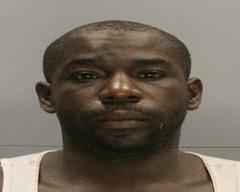 Craft is currently behind bars at the Alvin S. Glenn Detention Center. South Region patrol officers arrested Craft at a Cherry Street apartment on Friday, August 5, 2016 after spotting him in the area. Craft and an unidentified suspect are accused of being armed when they forced their way into the female victim’s Adger Road home on the evening of July 24, 2016. One of the suspects is accused of knocking the victim to the ground and holding her at gunpoint while the other suspect rummaged through her home. The victim suffered non-life threatening injuries to her arms, leg and back. She received medical treatment once police and EMS were dispatched to the scene. Craft and his alleged accomplice are accused of stealing several of the victim’s belongings including a purse and cell phone. 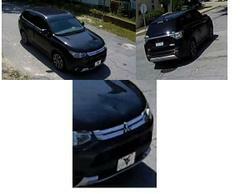 CPD Investigators are releasing a surveillance picture of the vehicle used to commit the crime – a 2016 Mitsubishi Outlander. The vehicle, which has been located and seized, is being processed for possible evidence by CPD. Investigators would like citizens to call Crimestoppers if they know who may have been seen in the vehicle with Craft around the time of the crime.